Orlando, FL – April 11, 2018 – Multicom, Inc., is proud to announce that it has been certified as a Service-Disabled Veteran-Owned Small Business by the Department of Veterans Affairs. Completion of this rigorous verification program demonstrates the accountability, trust and dedication that are the hallmarks of Multicom’s communications solutions and services. 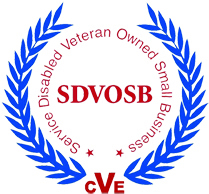 “We are honored to receive this certification as a SDVOSB. This is an important step in the continued growth of Multicom.” said Sherman Miller, President and CEO of Multicom. Headquartered in Orlando, FL, and maintaining sales offices, rep agencies and sub-distributors throughout North and Latin America, Multicom stocks over 16,000 products from more than 270 of the world’s major manufacturers. 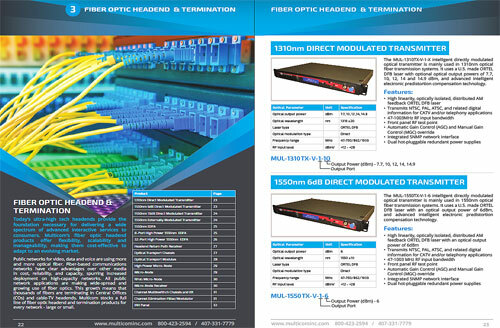 These products are used to acquire, process, and distribute audio, video, data, energy, and traffic control signals over fiber optic, copper, and coax cable. For more information, call 1-800-423-2594, email to multicom@multicominc.com or visit www.multicominc.com.